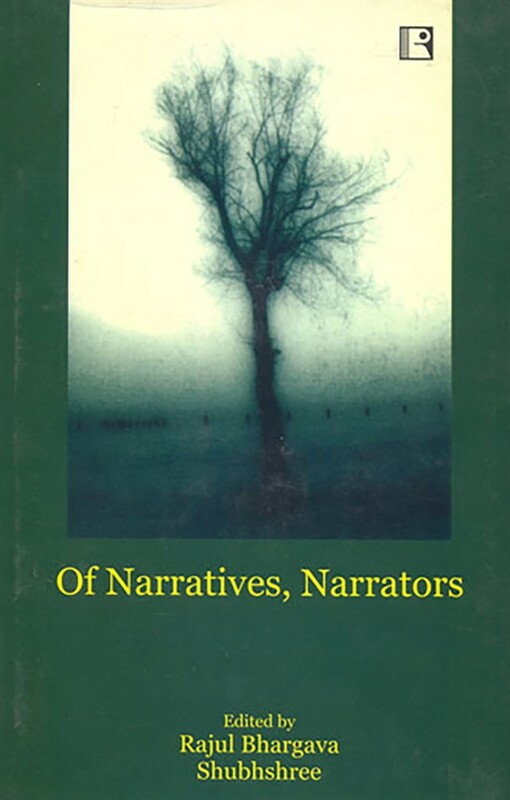 "Narratives are everywhere one chooses to see. Omnipresent and omnipotent, they are an integral part of the phenomenon called 'life', giving it meaning, sustaining it, nourishing it. When we are not narrating our stories, the stories that others tell, narrate us, image us, vision us. Mirror-like, they reflect what we are and in turn make us reflect on who we are, how and why we are, what we are and who we want to be. Every glance at these bits and pieces of 'mirrors of life', from the way we space and place, situate and locate ourselves, makes it possible to make sense of each lived moment-not only the moments now, but also moments past and moments future; not only moments of our own making but also of those larger narratives that simultaneously frame us and get framed by us. Since we cannot live in an isolated world, we depend on these 'others' narratives which support, sustain and even console us by helping us place ourselves in something bigger-a distinct human impulse. Storytelling and storylistening are indeed basic ways of thinking about the world. Therefore, the need to think again about them from different perspectives. Though basic and obvious, narratives are neither 'simple' texts nor 'simply' told- there are ways and ways of telling, and ways and ways in which the most simple of stories are embedded in a network of relations that are astounding in their complexity. Even the most familiar, most primitive, most ancient and most straightforward of stories, Cobley tells us, reveal depths that we might hitherto have failed to anticipate, and dimensions beyond what the story seemingly evinces to encapsulate. So, an attempt is made in this book to bring together thoughts, reflections, analyses and interpretations of those whom we know know about the art and craft of narrating. Viewed from a 'functionalist' stance, the articles by critics and writers alike intend to decipher what goes into the making of a narrative and how one can retrieve the diverse strands of sub-text underpinnings from the stories. Based on Bruner's assumption that it is not unreasonable to suppose that there is 'some human readiness' responsible for conserving and elaborating narratives, and going by the fact that there is an 'innate human propensity' towards narratives, this anthology has been put together. It will appeal to those interested in reading for meanings and those researching in the meaning of readings."